The American Academy of Allergy, Asthma & Immunology recently released research on fatal anaphylaxis based upon research of deaths in the UK, France, Canada, Australia and the USA. They looked at fatalities from drug and venom anaphylaxis in addition to food anaphylaxis. The research found that “Up to 5% of the US population has suffered anaphylaxis.” They found that fatal anaphylaxis is rare, and while drug anaphylaxis is increasing, fatal anaphylaxis to venom and food is stable. The time periods looked at for each country varied, but was at least for a time span of 10 years. The research found that “infants and young children have the highest reported rates of food-related anaphylaxis and subsequent hospitalization, fatal food anaphylaxis in this age group is very rare indeed.” The highest risk for fatal food anaphylaxis occurs in the second or third decades (10-19 years old; and 20-29 years old). Most of the fatal food anaphylaxis occurred in people with a known food allergy where many of the previous reactions were not severe. Another risk factor was the delayed use of epinephrine. This risk factor is the easiest to correct. 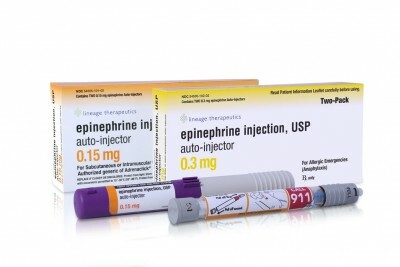 Always carry your epinephrine autoinjector if you have been prescribed one! Asthma is a risk factor for fatal food anaphylaxis, which was noted in approximately 70 to 75% of fatalities in the UK and Australia data. Yet, the data didn’t distinguish whether poor asthma control was associated with a fatal outcome. 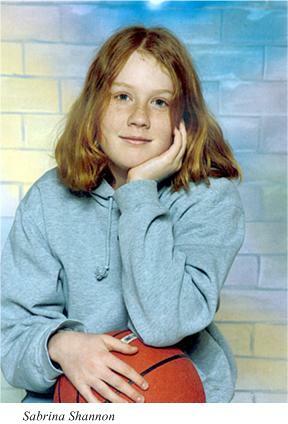 Other risk factors were alcohol, recreations drugs and remaining standing upright in anaphylaxis. The researchers postulated that alcohol “or recreational drugs may, through disinhibition, increase the likelihood of accidental allergen exposure, mask the early warning signs of anaphylaxis, or suppress physiological responses to hypotension.” Also, alcohol can increase the absorption of food allergens into the intestine because of increased permeability. In this research, which foods caused the fatal anaphylaxis was not reviewed. What are the takeaways for food allergy families from this research? Always have an epinephrine autoinjector within arm’s reach! Be very mindful of teens and young adults and whether they are practicing a vigilant lifestyle around their food allergies. This training starts young, and children watch what we parents do, not what we say. In our son’s school Health Care Plan, our doctor stipulated that should he experience any type of reaction, he should be laid down flat with his knees bent. She also stated that he should never be sent to the office, walking down the hallway, should he be feeling the beginning of an allergic reaction. If your child has asthma, we have always been told that it’s important to keep it well managed to afford the best possible outcome if an allergic reaction occurs. Have a frank, honest talk with your child about alcohol and drugs and the impact on all the areas of their life, but especially the consequences when managing food allergies. If you’d like to read the full text of the research you can do so here. This past week has been rough for those of us in the food allergy world. 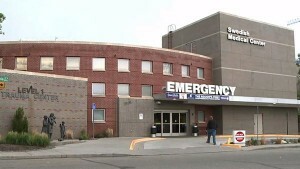 There have been two deaths from anaphylaxis: Andrea Mariano of Canada and Simon Katz of Colorado. These deaths have hit me hard. Maybe because they both were teens who ‘always carried’ their epinephrine, but didn’t do so on this one occasion – a decision that would change the course of their life. Maybe it’s because Simon Katz lived just one hour from me. Maybe it’s because these deaths were so avoidable. 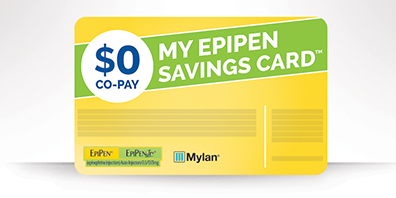 1) ER doctors – I can’t even count the number of times I’ve heard food allergy families recount the miscommunication they’ve been given from an ER doctor about food allergies and epinephrine auto-injectors. These doctors must be educated to counsel families properly about EpiPens and Auvi-Qs. The devices should never be left in a car glove compartment – it’s criminal for doctors to be giving out this advice! 2) Family Practice doctors and Pediatricians – It’s my belief, based upon my experience, that if a child has a peanut allergy they should be referred to an allergist. An allergist is better able to manage these allergies that research has shown are more likely to cause anaphylaxis. I’ve heard too many families tell me that their child’s peanut allergy isn’t serious enough to warrant an epinephrine auto injector, according to their pediatrician. This makes me cringe and shows that more education is needed for these doctors if they are not going to make a referral. 4) Parents/Families – There are many lessons that families need to pass on to their children, who grow into teenagers, with food allergies – always read labels, don’t eat foods that don’t have a label, and always carry your epinephrine. The likelihood is that mistakes will be made. But the one message that parents need to understand from the first day of diagnosis is to never leave home without epinephrine. Yet many parents have not understood this message enough to follow through every day, every time they leave the house. Children watch what we parents do, not what we say. American Express used the tagline “never leave home without it” for years. We need to encourage all families to follow this sage advice! 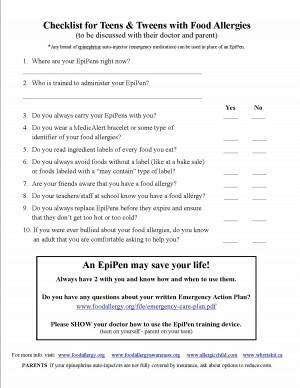 We also need to encourage families to let the school know if your child has food allergies and is to carry epinephrine. Complete the school paperwork, and tell those who need to know to keep your child safe! 5) Teenagers – Today’s teens are immersed in social media. Let’s meet them on Facebook, Twitter, Instagram, Tumblr, etc. 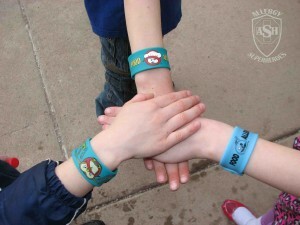 with messages about food allergy awareness and carrying their EpiPen/Auvi-Q. Using the technology of their smartphones, we can reach teenagers where they live, to show them it’s cool to have epinephrine with them. If something were “Apple cool”, I’ll bet teenagers would be clamoring to have it! It’s also ‘sick’ to train your friends on allergic reaction symptoms, and ‘dope’ to train them on EpiPen/Auvi-Q administration. 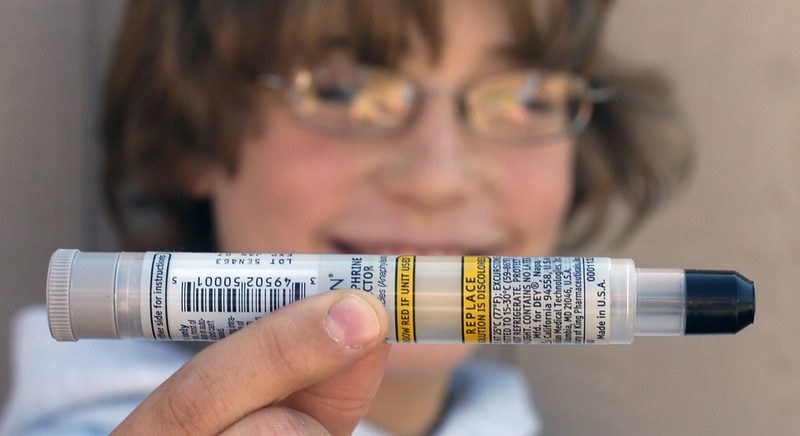 6) Schools – More and more states are passing legislation to allow for stock epinephrine in schools. Yet if the school isn’t aware of the students who have food allergies, or don’t have it available at school events, it’s not going to be helpful. Schools need to run “Anaphylaxis Drills” to determine if they are prepared for a teen suffering a severe allergic reaction. Many schools don’t know the steps to take for such a drill. Lastly, I’d like to ask for Sanofi and Mylan to create an epinephrine device that is smaller and more likely to be carried by teenagers. 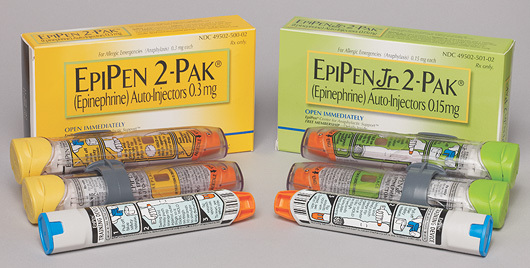 The cost of EpiPens and Auvi-Qs have increased drastically over the last few years. Please take some of those profits to fund new technology in compact, easy to carry auto injectors. Our teenagers are SO worth it! There’s a New Food Allergy Organization You Want to Join! There’s a new Food Allergy Organization that YOU want to join – FAACT – the Food Allergy & Anaphylaxis Connection Team. I’m so honored to be a part of this new organization with five other dynamic Food Allergy Advocates! Every one of us manages food allergies in our homes with at least one of our children. Every one of us has been a food allergy support group leader. We know what it’s like to live with the threat of anaphylaxis. We get it! 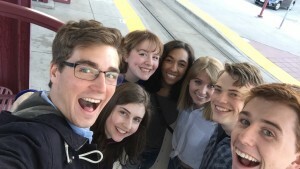 That personal connection makes FAACT the organization that you want to become a part of. Here is the press release for this great new non-profit organization. 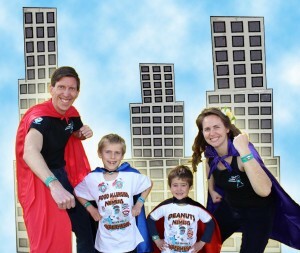 We intend to be your voice in the food allergy world! 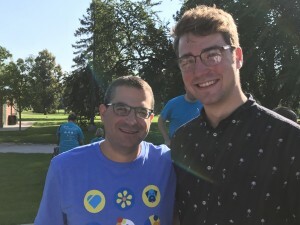 (West Chester, Ohio) A new nonprofit organization launched today is taking the American public and the food allergy community to a whole new level of support and compassion. The mission of the Food Allergy & Anaphylaxis Connection Team (FAACT) is to educate, advocate, and raise awareness for families and individuals affected by food allergies and life-threatening anaphylaxis. FAACT is the brain child of CEO Eleanor Garrow-Holding, who has created a team of top U.S. advocates and a world-renowned Medical Advisory Board. Garrow-Holding provides leadership for all of FAACT’s initiatives and programs, including conferences across the country, education for school and restaurant staff, and statewide legislation and civil rights advocacy for students. FAACT will also grow the very successful Camp TAG (The Allergy Gang) – a summer camp for children with food allergies and their siblings that Garrow- Holding founded in 2009. Among her work in the food allergy arena, Garrow-Holding served as vice president of education and outreach for the Food Allergy & Anaphylaxis Network for almost four years, where she presented at national and regional conferences about food allergy management in school and restaurant settings and educated personnel in schools and school districts across the country. 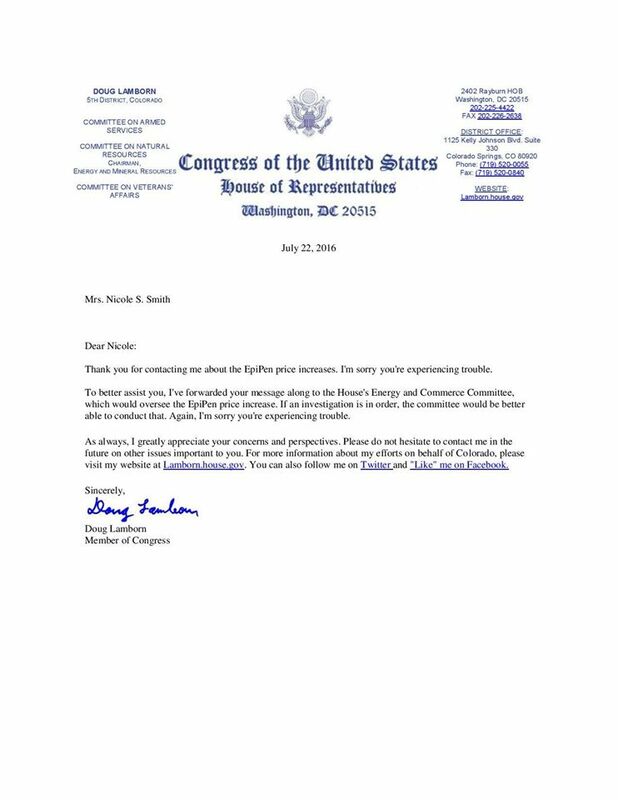 She also advocated for the Food Allergy & Anaphylaxis Management Act (FAAMA) on Capitol Hill with her son and helped pioneer the School Access to Emergency Epinephrine Act that was recently signed into law by President Obama. She has been interviewed extensively by the media and has written for Allergic Living and Living Without magazines. She has also worked to increase food allergy awareness among staff at numerous food industry companies and entertainment venues, including McDonald’s Corporation, The Hain Celestial Group, Mars Chocolate North America, and all SeaWorld Parks. 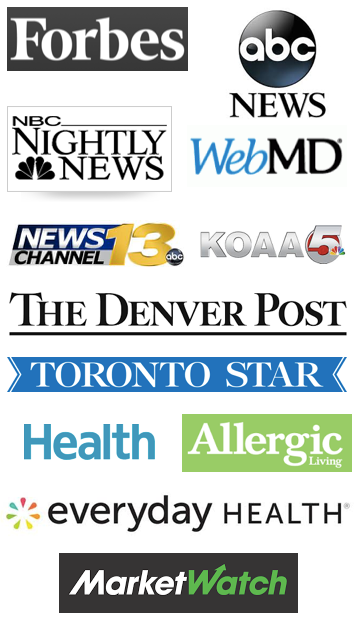 By networking with other food allergy organizations, FAACT is also able to supply the most up-to- date resources and provide a more cohesive level of support to patients and families by some of the nation’s most dedicated advocates, all with personal connections to allergic disease. The leadership base of FAACT includes civil rights attorney Amelia Smith Murphree, founder of “Food Allergic Children’s Education in Tupelo;” Karen Underwood Harris, president and founder at “Food Allergy Kids of Atlanta;” Thanita Glancey, president of the “Loudoun Allergy Network;” author Nicole Smith, president and CEO of “Allergic Child;” and Los Angeles media producer Yael Kozar, who leads “CA, Allergy Support & Anaphylaxis Prevention” and created “The Anaphylactic Allergy Podcast”. When our son, Morgan, was diagnosed with food allergies at 18 months old, I never thought that kissing my child could cause problems! Yet, if anyone has eaten their child’s food allergens and then given a cheek buss – well, you may be in for a big surprise! Even that minimal contact can cause an allergic reaction in a highly sensitive child. Passionate kissing can cause full blown anaphylaxis. So, it’s important to know the facts of what works with showing affection for your loved one after you’ve eaten their food allergen(s). Dr. Sicherer’s research did not involve cheek kissing or a “Grandma buss”. However I have heard from parents that their child has experienced welts, hives and/or a rash after receiving such a kiss when Grandma has just eaten the child’s food allergens. It’s vital to be cautious and for all family members to understand that even this small act of love can prove dangerous for a child with food allergies. 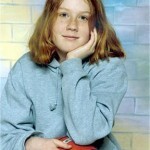 Once a child with food allergies becomes a teenager, that’s when the real fretting comes into play! I would encourage you and your teenager to speak with your allergist about this topic. This has also been a frequent topic at the Teen Summit. While it might be overwhelming for your teen to talk about kissing, keeping them safe supersedes potential embarrassment. When we spoke with Dr. Fleischer at National Jewish Health about kissing, he encouraged Morgan to have his date either not eat food that he’s allergic to or to eat another non-allergen meal and wait at least 2 hours after an allergy-laden meal. That could make for a very long date! Or, better yet, it makes for the necessity of having a conversation with his date prior to the day of the date. 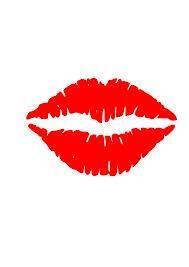 Kids with Food Allergies has a great resource for Teens and Kissing here. The magazine, Allergic Living, has an article on the topic here. I interviewed Sloane Miller, aka Allergic Girl, about her kissing experience that ended in anaphylaxis. Check out my interview here. Who would have thought that a beard would be the culprit! Go out there and pucker up! When our son, Morgan, was diagnosed with life threatening food allergies, we were lucky that he had ‘only’ previously experienced a mild reaction to touching peanut butter and had experienced a moderate reaction to his MMR vaccine. The combination of these two events caused our family care physician to realize that Morgan’s allergic reactions were beyond his medical training. He sent us to an allergist who diagnosed Morgan with several life threatening food allergies. By following up unidentified sources of mild to moderate reactions with blood and skin prick tests, we discovered Morgan had more and more food allergies – all likely to cause anaphylaxis. At 10 years old, he had a diagnosis of peanut, tree nut, sesame and shellfish allergies. Some of these he hadn’t even eaten – he had only touched them! At 3 years old, he had tested negative to fish, which allowed us to falsely assume he could eat trout on a camping trip the summer before his 5th grade year in school. This ended with the life altering experience of anaphylaxis. You can read about Morgan’s story here and about my husband’s story of the camping trip here (go about half way down the page). 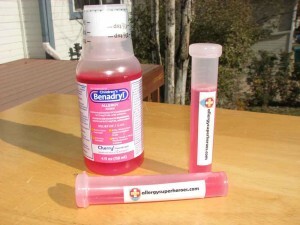 For anyone with diagnosed food allergies, there is a possibility of anaphylaxis. Those at the highest risk for life-threatening food-induced anaphylaxis and resulting fatality are adolescents and young adults; people with known food allergy and a previous history of anaphylaxis; and people with asthma, especially with poorly controlled symptoms. 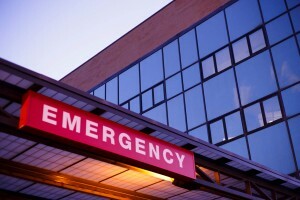 Peanuts and tree nuts cause the majority of fatalities from food-induced anaphylaxis. 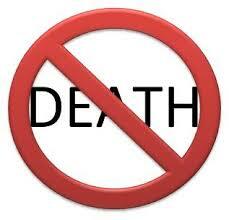 Fatalities are also associated with delayed use or improper dosing of epinephrine. Our son is now 17 years old, with a previous experience of anaphylaxis, has asthma (controlled at the moment), and has peanut and tree nut allergy. He has several strikes against him, so he ALWAYS carries his two EpiPens! 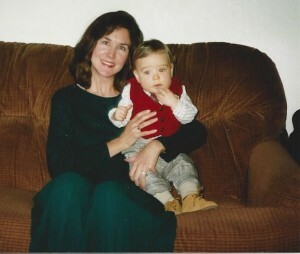 He was old enough when he experienced anaphylaxis that he well remembers the symptoms. Some children who experienced anaphylaxis as a baby may not remember the experience. By the time they get older, they forget why their food allergies are a big deal. If your child is in this category, help them to remember by discussing with your child and your allergist why food allergies need to be taken seriously. We’ve found that doctors can get points across that we parents never can. Your child may not yet have experienced anaphylaxis, in fact only 38.7% of children with self-reported food allergy have. This is another sub-set of food allergy patients. Sadly, they are frequently the families we read about who neglected to carry an EpiPen with them any more. Or they didn’t read a food label and just figured a product was safe. Or they never realized how serious food allergies are. Then, the child experiences anaphylaxis for the first time and is not prepared with medication to counteract the effect of the allergen. For those of you who have experienced anaphylaxis with your child – and believe me it feels that way! – I don’t have to explain the terror of the event. I felt as if our world had tipped over. I just read the Summer 2013 edition of Allergic Living in which Gina Clowes, Parenting Coach, wrote about how to help your child after an anaphylactic reaction. It’s a great read and I’d highly suggest it. While it’s difficult to move on after experiencing anaphylaxis, we felt it was important to allow our son to continue to live his life – go to school, participate in Boy Scouts and go on camping trips again. We also are keenly aware of what can happen with just ONE BITE of an allergen! We live and learn. And Morgan ALWAYS carries his 2 EpiPens just in case! How Vigilant Is Your Family With Food Allergies? Having read about yet another tragic death from food allergies last week – a peanut allergic 11 year old boy in Utah – it reminds me of the discussions we had with other food allergy families about how vigilant they were. Some families didn’t have the benefit of the knowledge about food allergies from an allergist. Some didn’t properly know how to recognize the symptoms of an allergic reaction. Some felt that an overly vigilant lifestyle around food allergies would thwart their child’s ability to enjoy life. Other families were so scared of an allergic reaction that they hovered over their child not allowing them to ever be without parental supervision. We’ve found the more understanding and awareness we have of the potential for an allergic reaction, the more able we are to make an informed decision about what level of vigilance is needed. With food allergies, once a family figures out how vigilant they need to be, sometimes it’s too late – and that is beyond tragic! 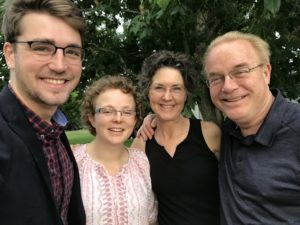 When our son, Morgan, was diagnosed at 18 months old with a severe peanut allergy (and an egg allergy too), he had experienced hives upon touching a peanut butter sandwich. After that, we were in that stage of denial, hoping that the skin prick test was an anomaly. I thought maybe he would outgrow the peanut allergy. He was able to eat eggs baked in foods just fine, so maybe we were over reacting to the food allergy diagnosis. A year or so later, at the local school playground, I was talking with another Mom whose 8 year old son had a peanut and egg allergy. She told me about how they never tell the school about his food allergies because he only reacts if he eats the food. And according to her, he knows to never eat peanuts or eggs. She also said something like, “Besides we end up in the ER a couple of times a year, but it’s no big deal.” I was horrified and scared! Was that in our future? Was that really the level of vigilance that was acceptable? Something shook me to the core about that conversation, and I decided that our family wasn’t going to live that way. There had to be a way to stay away from Morgan’s food allergens and to keep him safe. We needed some agreements to keep him safe in all situations. If my husband and I agreed about these when he was a little boy, Morgan could then continue living by these rules when he took on keeping himself safe. With the labeling laws in existence now, even this can be problematic if a teacher is expected to read an ingredient label and understand that “May contain…” is a voluntary statement on a label. That’s why we needed more rules than just this one! We read the label of every product along with Morgan from his earliest years. I believe Morgan wanted to learn how to read at a very early age to be able to read food labels. Product ingredients change even if the product packaging stays the same. We made this mistake once with a Klondike ice cream bar. We had purchased this product for at least a year and while the packaging stayed the same, the product contained a “may contain peanuts” warning that I didn’t read. He had a horrific stomach ache after eating, and we were able to trace it back to the ice cream bar. We were graced with a warning on this! 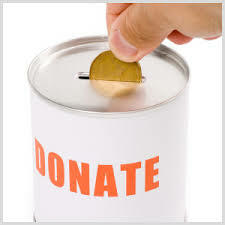 Think about bake sales at school – a disaster waiting to happen!! Another little girl in Morgan’s kindergarten class had a peanut allergy. She had never had a reaction, but since her older brother had a peanut allergy the parents had her tested too. They had an EpiPen for her at school, but they didn’t give her any rules about her peanut allergies other than “don’t eat peanuts.” Therefore, she would ask another child at a bake sale, “Does this have peanuts in it?” I cringed when I heard this. Thankfully, she outgrew her peanut allergy and nothing bad happened along the way. This situation could have easily turned out otherwise. When Morgan would go to a birthday party, I would either prepare a safe snack for him OR he would decide to not eat OR on the rare occasion that the food was safe, I would have read the label and approve it for him. Usually this was with ice cream. Morgan has brought his lunch to school every day. While the school is required to provide a safe meal for him, we were able to provide a safe lunch for him and did so. It was one less worry for us. Eating at a restaurant with food allergies is a big deal. Carrying a Chef Card really helps to let the wait staff and the Chef know EXACTLY what your child is allergic to. Better yet, speak with the chef about cross contamination and how to keep your child safe. Have your child practice giving the information to the wait staff when they get older so that they will be able to do so alone when they are a teenager. There will be mistakes with food allergies. 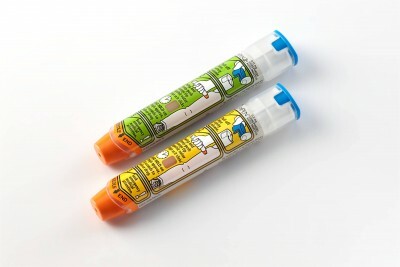 Having two EpiPens with you at all times will ensure that when there is a mistake, you have this life saving medicine within arm’s reach. Additionally, keeping an EpiPen in the car will ruin the medication (too hot) or the injector device (too cold). Morgan has been able to do so many activities because we look at the opportunity for him to enjoy and experience life first, and then we figure out how to manage his food allergies. He is an intelligent, loving, wonderful son who happens to have food allergies. AT 17 years old, Morgan now is responsible for caring for himself when it comes to food allergies. He’s very cautious and makes good decisions. And he ALWAYS carries his EpiPens. Yep, you’re reading a little Mother Pride on that one! !